Guess why fluoride is really added to your drinking water? Over 170 million people, or 67 percent of the United States population drink fluoridated water. 43 of the 50 largest cities in the country are fluoridated. 1. Fluoride exposure disrupts the synthesis of collagen and leads to the breakdown of collagen in bone, tendon, muscle, skins, cartilage, lungs, kidney and trachea. “Fluoride poisoning and the Effect of Collagen Biosynthesis of Osseous and Nongaseous Tissue,” Toxicological European Research, Vol. 3, No.2, pp. 99-104 (1981); Y.D. Sharma, “Variations in the Metabolism and Maturation of Collagen after Fluoride Ingestion,” Biochemica et Biophysica Acta, Vol. 715, pp. 137-141 (1982); Marian Drozdz et al., “Studies on the Influence of Fluoride Compounds upon Connective Tissue Metabolism in Growing Rats” and “Effect of Sodium Fluoride With and Without Simultaneous Exposure to Hydrogen Fluoride on Collagen Metabolism,” Journal of Toxicological Medicine, Vol. 4, pp. 151-157 (1984). Robert A. Clark, “Neutrophil Iodination Reaction Induced by Fluoride: Implications for Degranulation and Metabolic Activation,” Blood, Vol. 57, pp. 913-921 (1981). superperoxide production in resting white blood cells, virtually abolishing phagocytosis. Even micro-molar amounts of fluoride, below 1 ppm, may seriously depress the ability of white blood cells to destroy pathogenic agents. 10. Fluoride ingestion from mouth rinses and dentifrice’s in children is extremely hazardous to biological development, life span and general health. The contents of a family size tube of fluoridated toothpaste is enough to kill a 25 pound child. Fluorides are medically categorized as protoplasmic poisons, which is why they are used to kill rodents. Fluoride consumption by human beings increases the general cancer death rate. In 1975 Dr. John Yiamouyiannis published a preliminary survey which showed that people in fluoridated areas have a higher cancer death rate than those in non-fluoridated areas. The National Cancer Institute attempted to refute the studies. Later in 1975 Yiamouyiannis joined with Dr. Dean Burk, chief chemist of the National Cancer Institute (1939-1974) in performing other studies which were then included in the Congressional Record by Congressman Delaney, who was the original author of the Delaney Amendment, which prohibited the addition of cancer-causing substances to food used for human consumption. Both reports confirmed the existence of a link between fluoridation and cancer. (Note: Obviously Dr. Burk felt free to agree with scientific truth only after his tenure at National Cancer Institute ended, since his job depended on towing the party line). Fluorides have little or no effect on decay prevention in humans. In 1990 Dr. John Colquhoun was forced into early retirement in New Zealand after he conducted a study on 60,000 school children and found no difference in tooth decay between fluoridated and unfluoridated areas. He additionally found that a substantial number of children in fluoridated areas suffered from dental fluorosis. He made the study public. 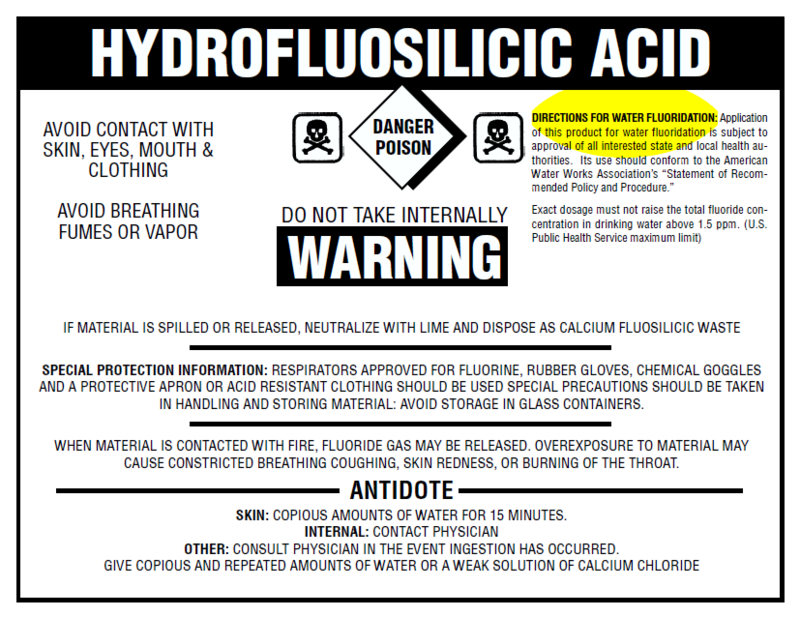 There is no scientific data that shows that fluoride mouth rinses and tablets are safe for human use. The fact that fluoride toothpastes and school based mouth rinses are packaged in aluminum accentuates the effect on the body. and forcing down the fluoride to their nationals may be cause of serious problem. found in access to the tune of staining and decaying the natives teeth and is causing bone deformity. In case those areas are supplied more fluoride via water, salt or other ingredients of daily use is like adding salt to injury, extending the already existing damage..